As we watch the drama of an F1 race unfold, we try to follow the narrative that’s defined by both strategic and tactical decisions made by the driver and the pitwall. Many watching at home will second guess decisions made by the team, on the pitwall and back at the factory, and see them as tactical rather than strategic, but how we tell the difference? And what do they see that we don’t?.. Some races are extremely straight forward and require only strategic thinking but the Hungarian GP conspired to give us tactical elements too, so, let’s delve into how the race unfolded and see what was done by the lead pair as they continue to fight tooth and nail for victories. The first thing of note was that a wet qualifying session gave the teams and drivers more dry weather tyres to choose from and more importantly a free choice on the tyre compound that they started the race with. Starting from the front, both Mercedes drivers opted for the Ultra Soft tyre, the grippiest but lower life tyre in the range. They did so as the tyre warms up quicker and drops into the tyres working range more efficiently (90-110o C), meaning that it should offer more purchase from the grid slot at the start and then offer more grip in the opening stint of the race. Of course this comes at the expense of longevity but we’ll see how that plays out in due course. Ferrari made their first tactical decision at the start of the race, when they decided to use different tyre compounds for their drivers, outfitting Raikkonen (starting P3) on the Ultra Soft like the Mercedes, whilst Vettel was given the Soft tyre. The Soft tyre takes longer to warm up and has a higher working range (105-135o C), which means it degrades slower than the Ultra soft, giving the team and driver different strategic options overall. Mercedes stayed on ‘Plan A’ for Hamilton, running as far as possible on the Ultra Soft (lap 25) before starting to lose pace relative to the chasing pack, followed by a long second stint on the Soft, assisted by running in free air, aside for when lapping traffic. Raikkonen’s race was one defined by forceful tactical moves, the first being a relatively short stint on the Ultra Soft tyre, as the Finn headed for the pitlane at the end of lap 14. This was clearly a ploy by Ferrari to usurp Bottas and gain track position with the undercut (the undercut is when you stop earlier than your rival and use the fresh rubber to maximise laptime and be ahead of the them after their pitstop). Raikkonen’s stop was slow though, as the team had to dislodge some rubber that had built up in one of the brake ducts (another reason for the early stop, as this may have pushed temperatures into the critical zones if he continued for too long). Shadowing his stop, Valtteri Bottas stopped on lap 15, even though the team had considered running longer due to Raikkonen’s slow stop they covered it off, in case they took had a poor stop. Both drivers took the Soft tyre, which essentially consigned them to what at the time seemed like a 2-stop strategy, with the Soft tyre unexpected to make the 56/55 laps needed to make it to the end of the race. The resultant pitstops freed Vettel, who’d been bottlenecked behind the two Finn’s as their tyre performance waned. Knowing that Vettel needed to run the quicker, but faster degrading Ultra Soft tyre in his last stint the team were obviously eager for him to run the Soft as far into the race as was possible, giving him less time on the quicker tyre but meaning he could extract his maximum each lap. As Vettel crossed the line to start lap 32 he was still an adjusted pit stop* ahead of Bottas, whilst Hamilton, having stopped was 14.502 seconds behind, meaning pit stop adjusted he was currently around 6 seconds adrift of the Brit. * The teams monitor the GPS position of their cars and others and using the adjusted pitstop loss (time it takes to enter the pitlane, complete an average pitstop (around 2.5 seconds) and return to the track) in order to judge when it’s best to feed their driver back in, limiting the traffic they’ll have to encounter as they exit. You’ll often hear this referred to as the ‘Pit Window’, if a driver is referred to as being outside of another's pit window they will not impact their strategy. However, if they’re in their window the driver needs to find pace or hope the other loses some. This is where the wheels started to come off the German’s strategy though, as his long stint length meant he would come across and have to overtake a cluster of backmarkers, whilst maintaining the kind of pace that would keep Bottas out of his pit stop window. He actually made light work of it in the early part, passing Nico Hulkenberg on lap 32, Hartley on lap 33 and as he passed the Ferrari powered Haas of Grosjean on lap 35 the pit stop window had actually increased to just over 25 seconds. It was Sainz and Ocon then that did the most damage, as they were busy squabbling with each other. By the time he’d passed Ocon on lap 38 the gap to Bottas had dropped to 22 seconds and Hamilton had eeked out his adjusted time to around 11 seconds. Of course, this is not all traffic related as you must realise that the Mercedes drivers now had the Soft tyres that were giving more performance than Vettel’s softer but more worn Softs. This is what we call the crossover - the point at which the rate of performance of one tyre exceeds the other. Putting Raikkonen on a newer set of tyres would make the Ferrari driver a different prospect on his final stint. But more importantly it was a ploy to make Mercedes respond with Bottas, clearing him out of Vettel’s pit window. With a roughly 20 second pit stop loss it would mean that if Mercedes didn’t fall for it he’d need to make up that time on track and clear Bottas who’d be struggling for grip at the end of the race. Mercedes didn’t bite and played their own tactical shell game, staying out and opting for track position, safe in the knowledge that both Ferrari’s would have to make up time and pass their man on track. The roll of the dice though is that by the end of the race, Bottas would be on tyres that had done 55 laps, a figure beyond Pirelli’s expectations. Vettel’s pre stop traffic and pace loss dramas were compounded when he made his stop on lap 39 for the Ultra Soft tyre, as he too had a slow pitstop, with the front left slow to go on his stationary time was 4.2 seconds, making what would have been a very close battle into turn one an easier proposition for Bottas, who regained second place. Vettel decided at this early stage of his second stint that Hamilton, having checked out at the front, was now out of reach and he’d instead lay in wait for Bottas’ tyres to go off and pounce later in the stint. Mercedes did have a window of opportunity at the end of lap (51) to pit Bottas to make a second stop, as a VSC (Virtual Safety Car) period was called to clear Vandorne’s stricken McLaren. A VSC period offers an interesting opportunity for the teams and drivers as the time lost in the pit lane is negated by cars traveling at pitlane speeds out on track*. This means the only real loss is the stationary time whilst the car is serviced, which can be made up to some extent by an aggressive pit entry and exit, as these are strictly classified as being on track. Mercedes once again made a tactical decision, opting to stay out on worn tyres and retain track position. Had Bottas have pitted they felt they’d relinquish the chance of a 1-2 finish, as they too would be stuck behind the Ferrari pairing of Vettel and Raikkonen even on much fresher tyres (referring to the tyre allocation chart they’d have only had worn tyres to choose from though). * The caveat here is that if the driver makes a stop and the VSC period ends during that stop he will inevitably lose time. As such, Mercedes were monitoring the recovery of the stricken McLaren and their GPS data to ensure that they weren’t caught out by this. 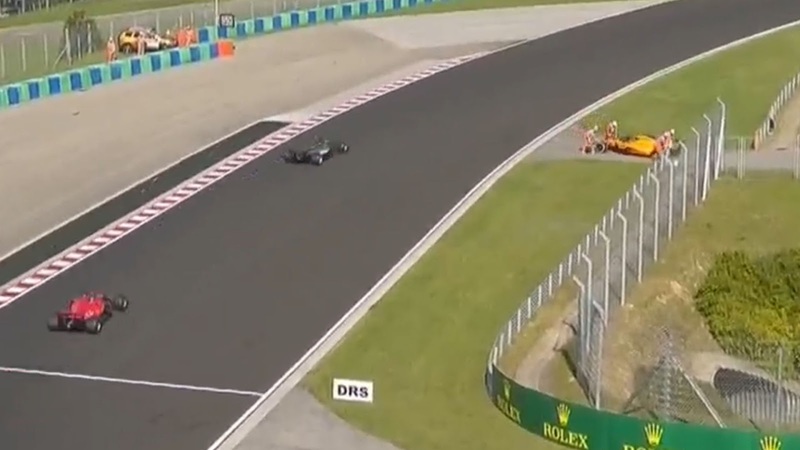 As we can see, the wouldn’t have been, as the McLaren still wasn’t cleared off the track by the time they passed around and so we were still under a VSC. 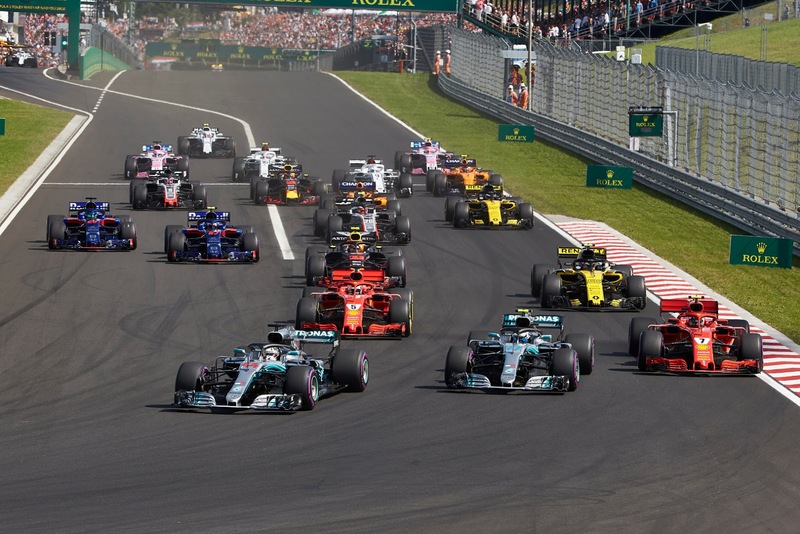 The rest as they say is history now, as the ensuing changes for position were made on track as part of a tactical battle between the drivers, which of course Bottas lost out in, having seen his tyres reach their performance cliff. I hope this article has helped anyone that has perhaps struggled to understand the difference between overall race strategy and tactical decisions made during a race, whilst also giving some insight into adjusted pit stop losses, pit windows and VSC periods that affect the aforementioned. As a side note an easy way to work out whether a driver is in anothers 'pit window' is to use the driver interval board and work out the culmative gap. 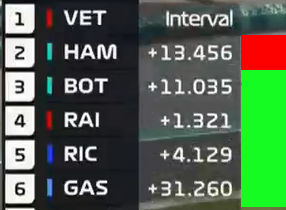 Let's say that the pit time loss is a hard 20 seconds it would mean that if Vettel pitted he'd come out 6 or so seconds behind Hamilton, meaning he's in his window (marked in red). Whilst Bottas is 24.491 seconds behind, giving Vettel some margin to stop and remain in front of the Finn (marked in green). You can make this visual assumption very quickly for all drivers up and down the field if you have a rough idea of the pit stop loss. Excellent writing, as always. Thanks for your data, analysis, and insight.